SAN JOSE, Calif. (CN) – A federal judge dismissed racketeering claims brought by an inventor who claimed Google used nondisclosure agreements to rip off his trade secrets for its own profit. 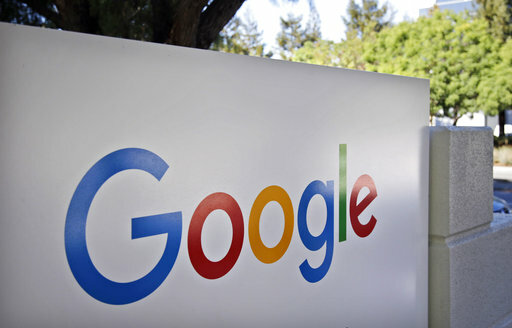 U.S. District Court Judge Beth Labson Freeman said the inventor did not have enough evidence for the case against Google to move forward on Racketeering Influenced and Corrupt Organizations, or RICO, grounds. According to Attia’s original complaint, Google lured the architect to Mountain View, California and convinced him through the use of nondisclosure agreements to reveal the secrets behind his revolutionary approach to architecture, and then told him they were not bringing his ideas to market when, in fact, the tech giant simply stole Attia’s ideas with the intent to bring them to market without paying him. After extensive litigation in state court, with several amended complaints and a trial scheduled to begin in 2018, Attia asked to add five RICO charges, alleging Google engaged in a pattern of stealing inventors’ intellectual property. The newly amended complaint cited other inventors who claimed Google made away with their ideas and passed them off as its own. VSL Communications claimed Google engaged in similar practices to steal its file transfer technology. Space Data Corporation also alleged misdeeds in relation to its wireless technology in high-altitude balloons, along with four other similar cases. Attia sought to prove Google engaged in a sustained plot to steal intellectual property. RICO charges have a higher bar of proof, but also entitle plaintiffs to triple damages awarded by the court. Judge Freeman said Attia and his architecture firm did not meet the high bar of proof in several ways, including failing to show that Google continues to use the technologies at issue in the case and failing to prove the company engaged in a pattern of illegal activity. “As currently alleged, one of the biggest deficiencies with respect to plaintiffs’ RICO claims is the failure to plead the existence of a ‘pattern of racketeering activity,’” Freeman wrote. The judge also said Attia’s reliance on other lawsuits against Google to establish a pattern runs afoul federal civil procedure rules. Freeman criticized the complaint for relying on six other lawsuits without providing evidence that Attia’s attorney independently investigated the claims put forward in those lawsuits. Freeman further noted that five of the six other lawsuits, all of which were filed in Santa Clara County Superior Court, were eventually resolved in favor of Google. But the judge did give Attia the opportunity to amend his complaint after independently investigating and potentially verifying the facts of each of the six lawsuits referenced in the case. “The court now affords plaintiffs leave to amend, as it may still be possible for them to plead a RICO pattern based on evidence of defendants’ similar scheme against others,” Freeman wrote. Neither Google nor Attia’s attorney responded Thursday to requests for comment.